As a dealer for spinolution I love these wheels. Here's a collection of review and demo videos I've made all found in once place. I will add to them as I make them. If you have any questions or have a video topic you'd like to see please message me. I figured it was about time that I got around to blogging about my spinolutions wheels seeing how I"m a dealer and all. I'd been talking with people in the spinolution Facebook group ( a great resource ) and people seemed to be having questions about what exactly to do with all of the different gears and settings. I totally see how all of that could be intimidating especially if you were newer to the basic concept of spinning. 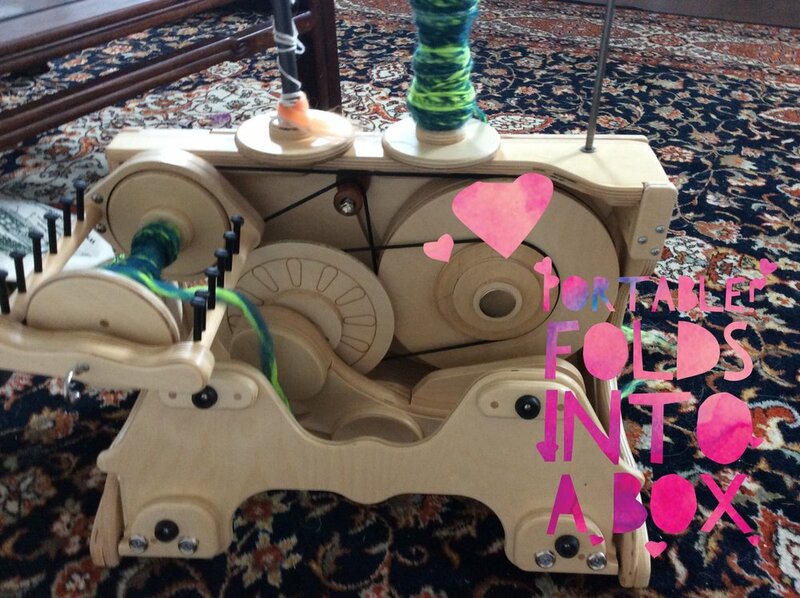 I mean it has two wheels, two bands, an unusual treadle system and it folds into a box for crying out loud. Fear not my usual ability to not let not having a clue what I"m doing stop me from doing it has once again worked to mine ( and your) benefit. So here are a couple of you tube videos I'd made to answer the main questions I was seeing. i'll probably make some more and link them here later on. I love this wheel becasuse it's powerful ,quick, durable and portable. Also with it's 8 oz bobbins at least for me it's all I would need. So here goes. Please let me know if I can answer any other questions for you. What better to do on a rainy nap time then to spin up some Faux Cashmere! So I'm working on a custom colorway for a local shop ( shout out to Atomic Fibers in Oak Ridge TN). Half of the order is going to be on Merino with silver sparkles and the other half is going to be on Faux Cashmere which I was very excited that the shop owner was as excited about as I am. I'm normally a huge fiber snob and not a huge fan of anything that's not a natural fiber but I must admit faux cashmere has brought me over to the dark side. 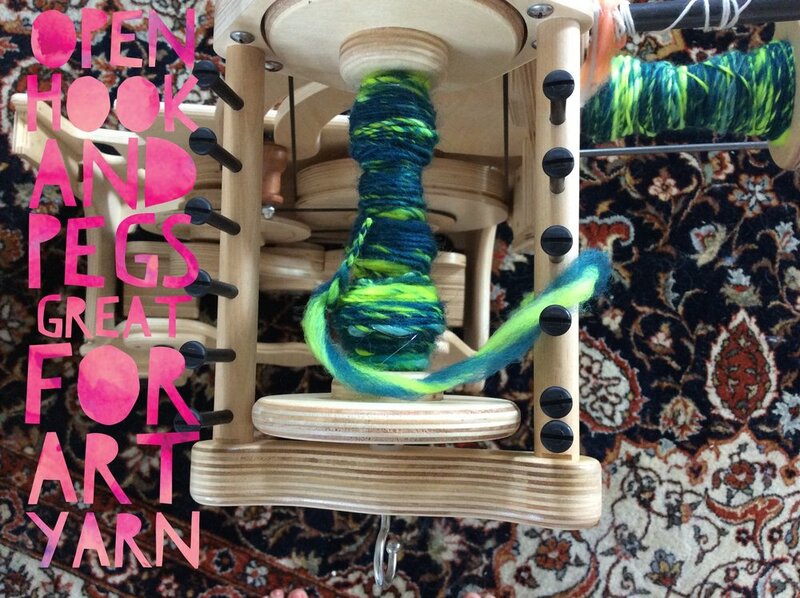 It spins up like a dream and is pretty brainless, it's fluffy and light but has a decently long staple length so it's easy to achieve a thinner yarn. I find it a bit harder to per-draft than merino or other wools so I normally end up breaking off small blobs of it and spinning thin from that which seems to work well. Yarn spun from faux cashmere has a nice subtle sheen and is fabulously soft and light weight. It also takes dyes well and the results are normally bright and cheerful. The best part is unlike real cashmere you wont have to take out a loan to get a decent amount to spin or knit with. 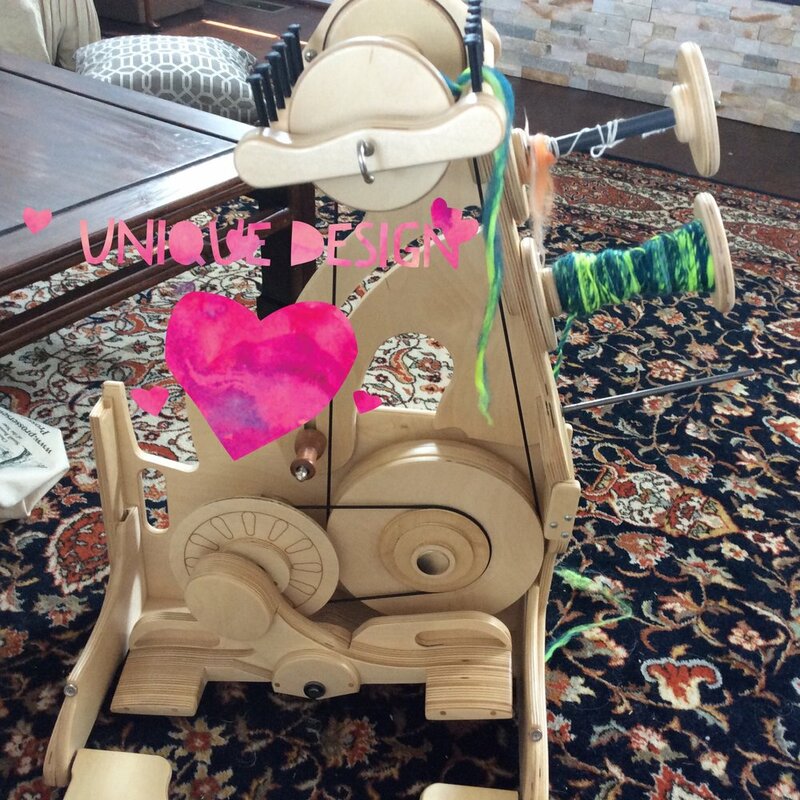 In this video you will see some faux cashmere spinning action on my Spinolution King Bee ( Love) as well as a bit of rambling about the adventures of me and the little people and why I compulsively spin for relaxation. As normal feel free to hit me up with any questions or comments. Stay tuned for info on some late summer limited edition yarns that will be faux cashmere of course. Joining the coupon email list is by far the best way to know when that happens and save money while you're at it.